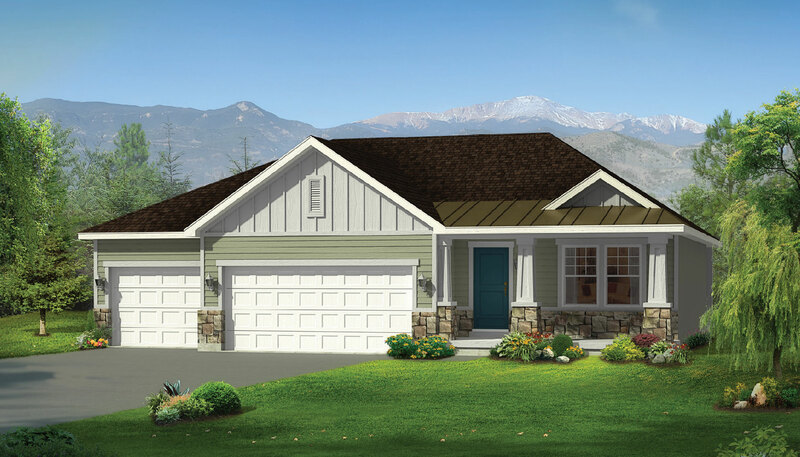 Newly designed, this open, vaulted Whistler home plan is designed to entertain. 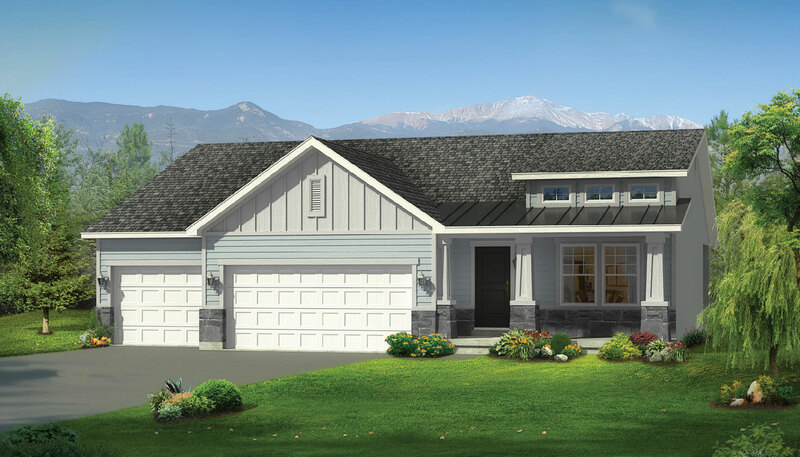 With tons of natural light from the 10′ vaulted front dormer, incredible open floor plan for spacious living, and a standard 3-Car Garage, this home has everything one level living boasts of. 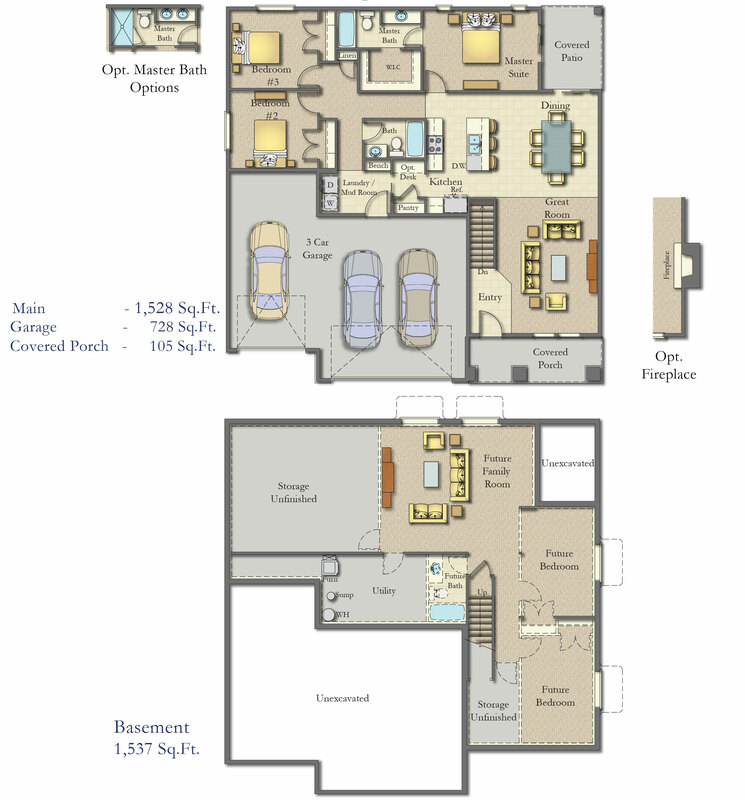 Available with three bedrooms, two baths and a standard three car garage! 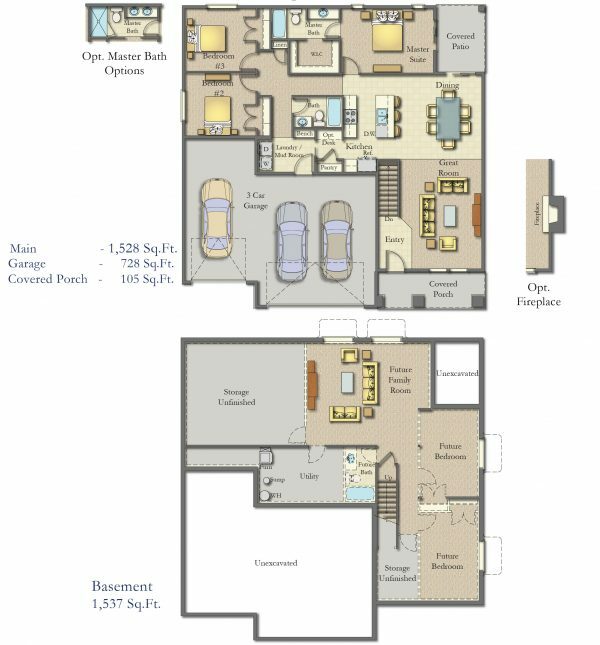 Also enjoy private porch access from the Master Bedroom. Covered Porch – 105 Sq.Ft.